Windermere Suite Self-cateringWindermere Suite offers high quality accommodation in delightful hillside surroundings with fine views to Lake Windermere. Situated on the outskirts of Ambleside this delightful second floor apartment gives endless opportunities for walking without any need to use the car. Loughrigg, Fairfield and Wansfell are there to be explored whilst more level walks encompass Under Loughrigg and Rydal - a delight in any season. Windermere Suite offers high quality accommodation in delightful hillside surroundings with fine views to Lake Windermere. 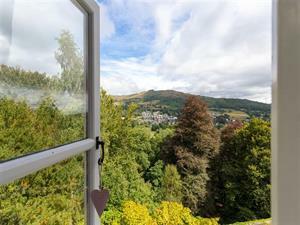 Situated on the outskirts of Ambleside this delightful second floor apartment gives endless holiday opportunities. Windermere Suite offers weekly bookings starting on Saturday.